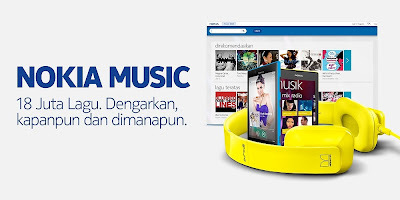 Today, Nokia Indonesia announced their plan to brings more than 18 millions songs to Nokia Music Store and planning to brings Nokia Music with Mix Radio for selected Nokia Lumia devices. The services are planned to be launched next month on August, 27th 2013. And more than 18 millions songs will be available on selected Nokia Asha & Lumia devices. Nokia Music with Mix Radio is free online music streaming that offers more than 150 mix or song lists from Nokia and Music experts from local & international. All users can streaming with their mobile data or Wi-Fi and they can download up to 4 favorites mix for offline playing. You can create your own music profile to create your own mix. You can also buy the songs directly from Nokia Music Store. 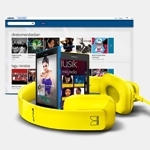 Nokia Music with Mix Radio application will be available on Windows Phone Store for All Nokia Lumia with Windows Phone 8 devices and Nokia Lumia 900, 800, 710 and 610. Nokia Music Store is a service that allow you to search & buy your favorite music to your PC or directly from selected Nokia Asha & Nokia Lumia devices. There will be up to 18 millions songs (local & international) are available on Nokia Music Store and will updated weekly to have more songs. The price range for a song start from IDR 3.000 and for album is start from IDR 18.000. Start from August, 27th 2013, Nokia Indonesia will close "Nokia Music Unlimited" subscription that already available for Nokia Asha 200, 300, 302, 305, 306, 311 dan Nokia Lumia 610 dan 900. If you still have "Nokia Music Unlimited" subscription that will be expired later than August 27th 2013, you can get free voucher to download more songs from Nokia Music Store. Please refer this link: http://www.nokia.com/id-id/nmu-redemption to get complete information to redeem your voucher.